﻿The Antiquorum sale in Hong Kong on 26 February will feature some interesting timepieces from Jaeger-LeCoultre and IWC. 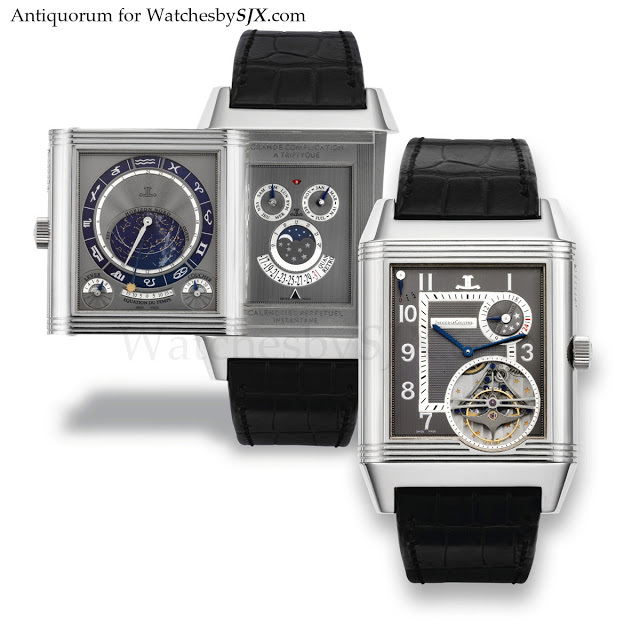 The JLCs are a three piece set of the Gyrotourbillon 1, Reverso Gyrotourbillon 2 and Reverso a Triptyque, lots 178-180 respectively, known as the “Hybris Mecanique” according to Antiquorum (or perhaps they confused it with the Hybris Mecanica grandes sonnerie set). 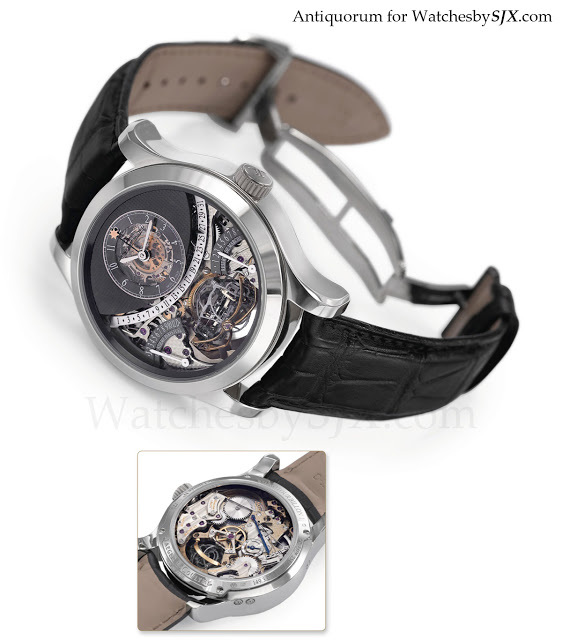 The Gyrotourbillon is of course the landmark high complication for JLC and one that has done quite well at auction. Estimate for the Gyro 1 is USD250,000-300,000, Gyro 2 is USD180,000-220,000 and USD300,000-400,000 for the Triptyque. 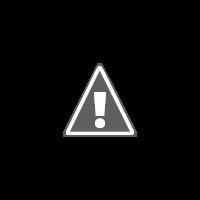 They were sold in 2009 as a three piece set, from a limtied series of 20 sets in white gold with black dials. This is the first set to be offered for sale at auction, though not the first set to be broken up or sold on the secondary market. And there is a set available at an authorised dealer in Asia as well. Interestingly while I was in the JLC manufacture recently I saw watchmakers assembling a Triptyque in this configuration, which must be part of the last of the 20 sets to be delivered.